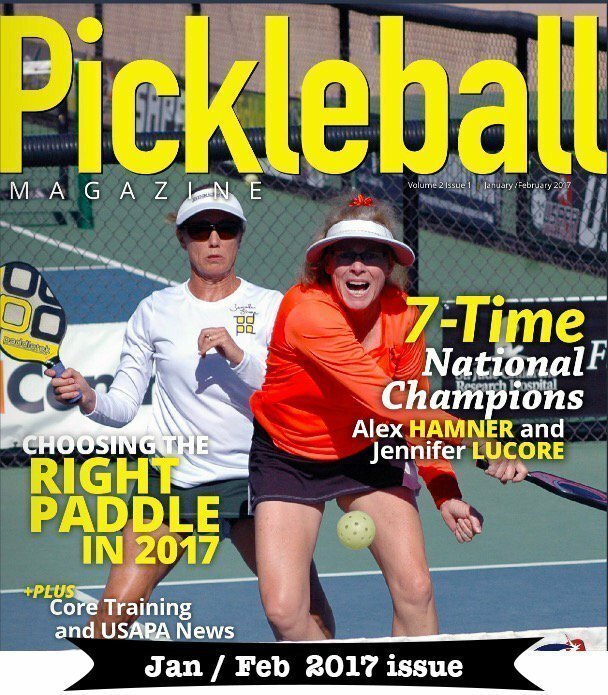 The Pickleball Channel uploaded this video, that shows how it took Alex Hamner and me 15 shots to make it to the kitchen line (24 more shots to win) straight to their Facebook page on February 22, 2016, and at the time of this blog post the video had 121,270 views with 1,433 people sharing this video! 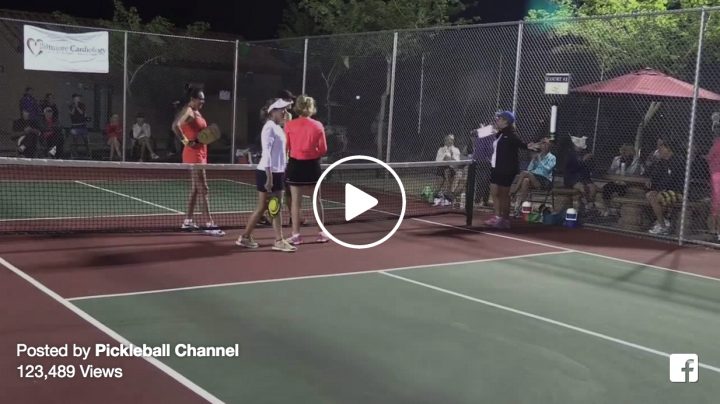 The video clip is match point of the Women’s Doubles, Age 50 – 55 Finals, at the 2016 Grand Canyon Games in El Mirage, AZ. Players are Mona Burnett, Bonnie Williams, Alex Hamner and Jennifer Lucore. This point was captured by chance as Rusty Howes of the Pickleball Channel just happened to be standing on the adjacent empty court and used his personal camera to capture some activity. Awesome play by Mona and Bonnie – every point was a battle and as you’ll see, this point in particular could have gone either way. 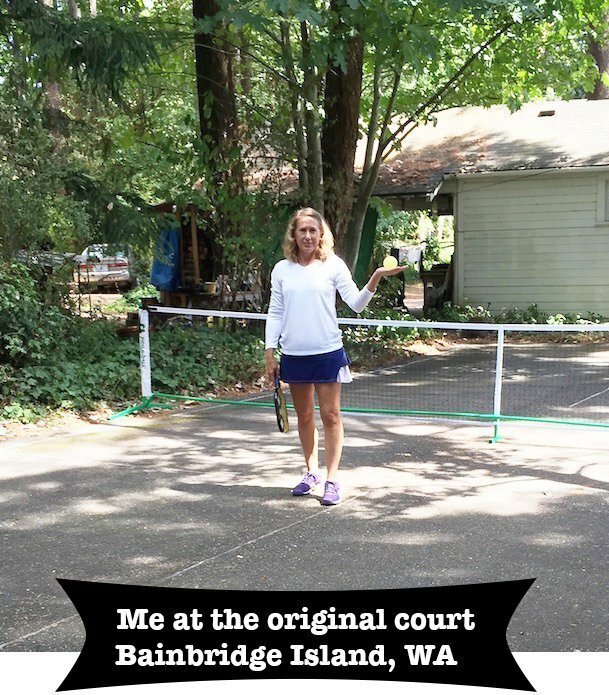 And boy, we’re lucky Rusty captured these pickleball moments because it highlights many things. It reminds us it can take several shots to get up to the kitchen line. The goal is to ALWAYS keep moving forward arriving together ASAP, but who would think 15 shots. It reinforces patience and that we shouldn’t run through the ball while hitting just to get to the kitchen line (see: Stop, Hit and Move post for more). There were a lot (100’s) of comments on this Facebook post/video. Barb Taylors post stood out to me – she is the one that first pointed out that it took us 15 shots just to get to the kitchen line and 24 more shots to win the point. PHEW! Barbara: Great last point. Wow! I want to play this game!! Betsy: Much more intense than I thought it would be! Melanie: LOVE IT!!! Superb rally by all 4 players! Phenomenal pickleball skills! Great placement! Wowza, speed variance! Top notch playing! It cannot get any better than that! Karen: And here’s the thing…it’s dark and they’ve been playing hard matches ALL day! To have this much fight and energy left is the amazing thing. Dan: This is supposed to be for seniors!!! Pickleball is a ribbon of dreams, a tale told by a genius, full of sound and fury, signifying everything! The ferocious triumph of the human will to excel is a thing of beauty to behold. All four players should be proud. Good comment Keith and really great play by the women! Wow Jen & Alex !!. Impressive gets before you got up to the line and win the rally. Really enjoy watching the clips of super rallies. Keep um coming !